Do smartphones need to become any smarter? As smartphones continue to become more powerful, announcements of novel hardware developments are few and far between. The same happened with PCs as pure grunt eventually became the focus of development attention and peripherals assumed greater significance. At the same time, the abundance of developments in personal healthcare and fitness signal a market opportunity which may change the smartphone forever by focusing development attention on the peripherals. Are we witnessing the end of smartphone development? Early PCs were fairly basic but over a period more than ten years they became more useful as new hardware elements were introduced, including disk drives, expandable memory, and a wide variety of different interfaces and ports. Whilst not all of it survived through the years, much of that hardware now represents the core of the PC we know today. Later, laptops saw the integration of fingerprint scanners, webcams and touch panels, while greater portability was achieved through more lightweight construction. And confirming the continued reliability of Moore’s Law, processors inexorably increased in speed. This, combined with reduced costs, better battery life and improved portability, has dominated recent laptop development. Throughout the evolution of PCs and laptops, technology delivered smaller, faster, cheaper and better devices – but eventually the specs stabilised and announcements of completely new hardware became less common. From the hardware perspective, greater emphasis was placed on development of peripherals – including printers, scanners, networks and sound systems. The evolution of smartphones has mimicked this pattern and we’re now at a point where the pace of hardware announcements has slowed and specs including multiple cameras, Bluetooth, WLAN, USB, 3G/ 4G, removable memory, GPS and compass are commonplace. NFC is a differentiator for some, but despite a few niche applications it remains a technology looking for a problem to solve. Multi-core processors have picked up the baton from where megapixels left off. Again, it’s an easy number for consumers (and marketeers) to quote and broadly follows the “bigger is better” edict, at least in the minds of many consumers. Certainly there is downward pressure on costs and we continue to see “premium” hardware features migrated to mid-tier and eventually low-tier devices. The fingerprint reader first seen in Apple iPhone 5S has now been picked up by Samsung in the Galaxy S5 and its integration into PayPal as an identification and authentication element may well encourage others to follow suit. Security and privacy concerns first mooted around Apple’s announcement appear to have largely subsided – perhaps an indication of the great trust and confidence consumers place in Apple, whilst reliability concerns continue to surface. For all its obvious need, waterproofing has yet to become commonplace in smartphones. At last year’s CES there was plenty of talk of hydrophobic nano-coating. This year’s Galaxy S5 followed last year’s Galaxy S4 by complying with IP67, which is an impressive degree of protection against water and dust ingress. Interestingly this is achieved by protecting all apertures rather than nano-coating the internal electronics, possibly suggesting that this latter method remains problematic for large-scale implementation in consumer electronic devices. 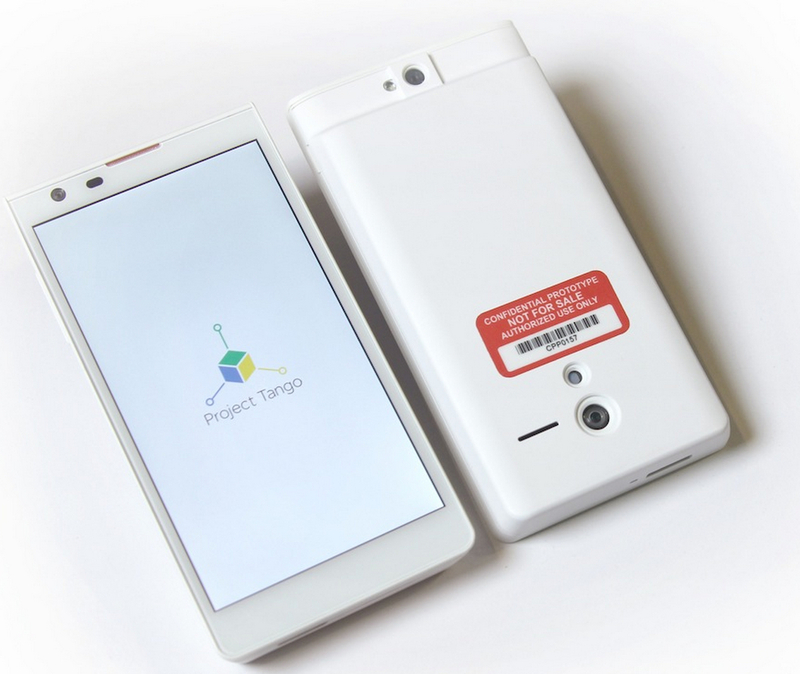 Google’s Project Tango brings new opportunities in the field of 3D mapping. By integrating a depth sensor and motion-detecting camera into a phone along with dedicated vision processors the aim is to enable solutions to indoor mapping – considered the holy grail by many. It’s still early days, and we’ve yet to see what the software will eventually be capable of, but inclusion of this hardware in prototype devices is an encouraging sign and will give developers another opportunity to create compelling new applications. But apart from these hardware developments we’re not seeing much in the way of new technology – at least not different technology – in the smartphones themselves. Most of the continued development we see comes from device- or platform-software, or neat integration with web-enabled services. And that is what delivers most of the consumer “wow”. Augmented reality and gesture-based controls only became possible when the necessary hardware was included, in the same way that geo-tagged images only became possible with the convergence of GPS and imaging hardware – and suitable software. In the same way that PC hardware eventually stabilised and development continued in peripherals, perhaps we’re looking at future evolution coming not from smartphones themselves, but from so-called “smart sensors” such as Google’s contact lens for detecting blood-sugar levels. Personal healthcare represents just one area of potential interest – not only because of the huge marketing opportunity it presents, but also because of the huge social impact it can have on a global scale. And of course other areas will emerge over time. Have we reached the point where smartphones are as smart as they need to be? Perhaps they should focus on delivering core services and the heavy lifting, whilst leaving the really smart bits to peripherals. What do you think? Please add a comment below, or subscribe to this blog. This entry was posted in Technology and tagged development, fitness, personal healthcare, smart sensors, smartphone by greatproductmanagement. Bookmark the permalink.